The way we work, learn and live continues to evolve and become more integrated. Singapore-grown pioneers, Found. (previously Impact Hub Singapore) and Collision 8, have always understood this and put people at the heart of their coworking communities. Both companies were founded on a strong desire to build ecosystems that foster collaboration, innovation and most importantly, business growth. With this strong alignment of values and capabilities, a merger came as a natural and important progression. “Our philosophy has always been that collaboration is better than competition. As we regionalize, Found8 is set to create meaningful innovation ecosystems everywhere we go. 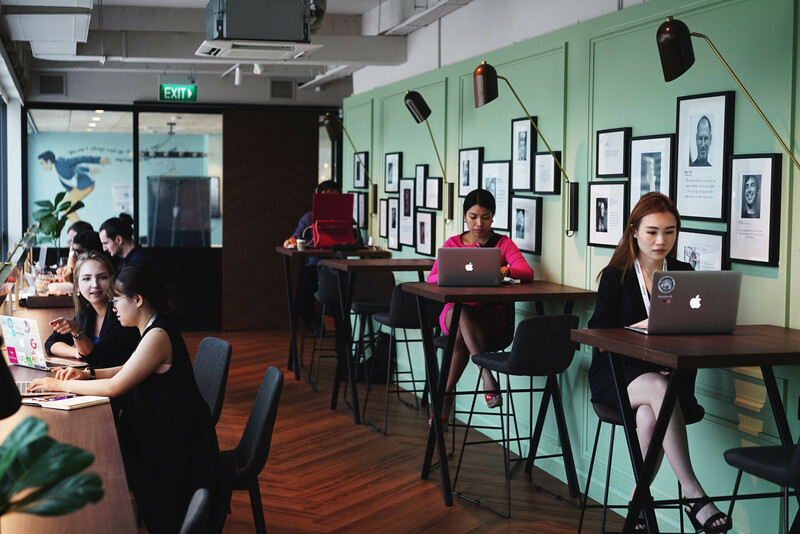 We are creating a new benchmark for the future of coworking in Asia,” Grace Sai, Co-CEO, Found8. “Found8 is bringing transformation and growth not only to startups but also to traditional family businesses and corporates. Our community is collaborative and dedicated to driving business growth, collectively. The best part of this merger is that my biggest competitor is now my partner,” Michelle Yong, Co-CEO, Found8. Colliding the Best, Founding the Future Found8’s vision is to build supportive environments that create change, advance communities and accelerate growth. With a combined membership of more than 1,000 members including General Assembly, Antler, Slush, Liberty Mutual’s Solaria Labs, Mileslife and the Singapore Academy of Law, Found8 is poised to facilitate more collaboration amongst its members. Found8 Is also Google for Startup’s first partner in Southeast Asia and the only in Singapore. Now, Google’s product perks, mentorship and philosophies are made accessible to the joint communities. The company takes on a personalized and holistic approach to member development. They already make 200 monthly connections for their members and are looking forward to more with the merger. With associated funds like Found. Ventures, Aurum Investments and its Investor-in-Residence partners of the region’s top VC funds, Found8 aims to bring more funding opportunities to their members. Members such as Hmlet, FoodRazor, Nimbus and Soho have already benefited from their in-house VC funds. In addition, members will be able to access a regional partner network through Google for Startups and their signature Elevate SG programme for first-time founders, a partnership with Enterprise Singapore. 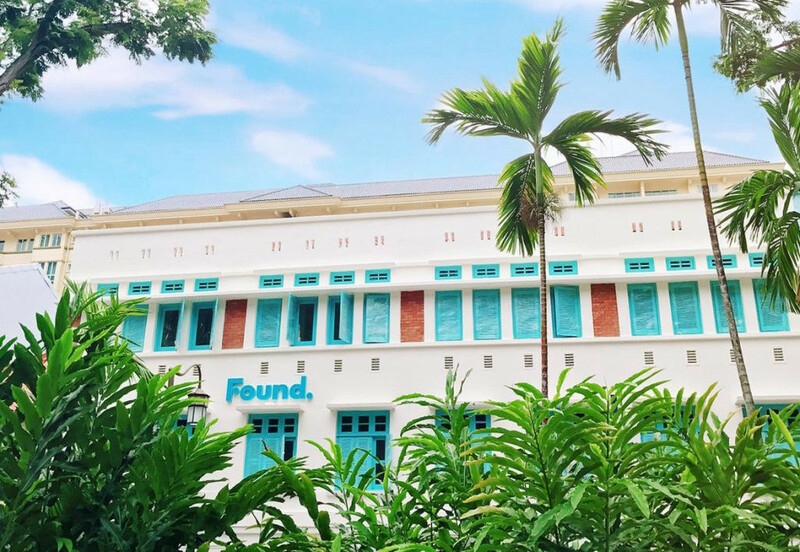 “We’re excited to move to a new home at Found8. They understand our needs and have created a space that aligns with our brand. It’s great to see two female powerhouses come together in this merger. 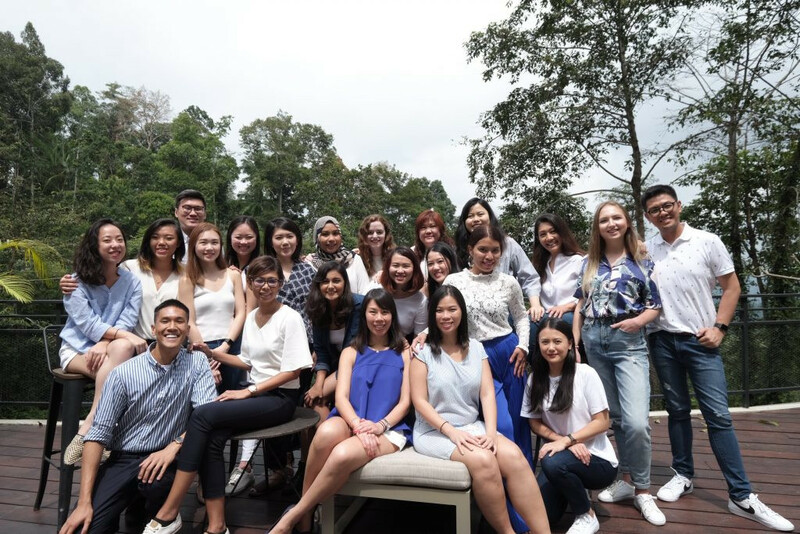 Michelle’s strong real estate business acumen coupled with Grace’s community building expertise makes for a winning combination for Found8,” Aziza Sheerin, Regional Director – Singapore, General Assembly. In line with elevating member productivity and wellbeing, the merger brings to the table benefits from sister companies like Core Collective, a fitness and wellness hub, that will complement member lifestyle needs. The Heart of Innovation Found8 will be the largest innovation campus in Singapore, providing its members with inspiring co-work and event spaces, dedicated resources and programming. The merger also promises access to leaders in the ecosystem such as notable startup generator and early-stage VC, Antler: “I’m excited about the potential Found8 has in boosting up the innovation ecosystem in Singapore and beyond,” Jussi Salovaara, Co-Founder and Managing Partner Asia, Antler. On the Corporate Innovation front, Found8 builds on Found’s pioneering work in bringing startup-driven innovation into more than 80+ leading corporations like DBS, P&G, ABinBev and NTUC Enterprise. Found8 will continue to grow its Corporate Innovation arm to help large businesses develop new revenue drivers and transform from within, by collaborating with the startup and scale-up networks. 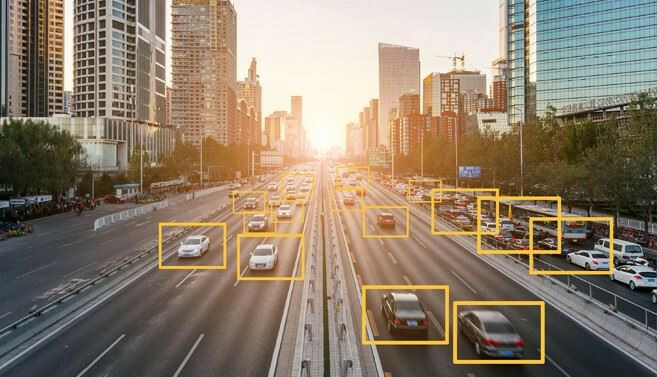 With its specialized focus and capabilities in innovation, Found8 has already been asked to develop innovation campuses by new partners ranging from the scientific to legal communities, governmental agencies to property developers. The individual legacies of Collision 8 and Found. bring together tech-enabled spaces, communities and content have positioned them to be one of the rare players in Asia who could build innovation campuses for others. With a strong commitment to bringing out the potential of all types of businesses, Found8 is leading family business innovation through a dedicated accelerator programme. The initiative has already gathered strong interest from family businesses across Asia-Pacific. Collision 8 has created many new growth opportunities for its parent company, fourth generation family conglomerate, Woh Hup, and hopes to bring these same growth opportunities to other family businesses across the region: “We believe that Found.’s strength in corporate innovation compliments our strength in real estate and operations, to accelerate further growth and expand overseas,” Eugene Yong, Executive Director, Woh Hup Holdings Pte Ltd. Expanding into Southeast Asia and Beyond The unique Found8 approach to innovation and growth has been built and tested locally over the years. With a great track record and proprietary innovation methodology, the company is now confidently positioned to scale the model overseas. Regional expansion is already underway with the company pioneering a Found8 startup ecosystem at the heart of Kuala Lumpur Sentral Station, drawing from the Station F concept in Paris. Found8’s bold and necessary expansion has garnered support from investors and strategic partners like Kejora Investments and Malaysian Resources Corporation Berhad (MRCB): “Kejora is excited with our latest investment in Singapore which is regarded as an important tech hub in the region, especially to be working with the founders and team of Found. and Collision 8 given their phenomenal role in shaping Singapore’s tech ecosystem. Together, we look forward to scaling the corporate innovation initiatives to the region,” Andy Zain, Managing Partner, Kejora Ventures. “With Found8’s track record in community-building within the innovation space, we are excited to be partnering them — to transform KL Sentral Station into a vibrant innovation campus that brings together the entire entrepreneurial ecosystem,” Izza (Nor Izzati Binti Tan Sri Mohamad Salim), Chief Operating Officer, MRCB Property Division.